New England is one of those areas in the country where winter arrives before the official calendar date. We are already feeling the chill in the air and it wouldn’t be a surprise if snow arrived before Christmas. There is a lot you should be doing around the house to get your home ready for winter like making sure your pipes are insulated and your rain gutters are clear. 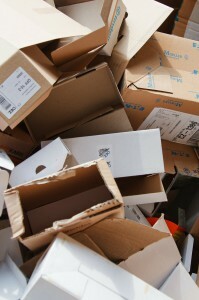 But there’s also a lot of unwanted winter clutter that you can get rid of as well. Perhaps it is time to do an inventory of all your junk. There are a lot of things that can fall into the winter clutter category. Start with all the sporting equipment that is not being used any longer. You might have all kinds of old skis, snow boots, snowboards and sleds that have seen better days. If those items have already been replaced, then there’s no point in holding onto the old ones. All of that can be turned over to Junk King Boston. These are the junk removal pros that can quickly move through your basement and garage picking up any item you want taken away and that includes all that old sporting equipment. Winter clutter can also refer to some clothing items. When was the last time you went to your closet and dresser to make sure everything you’re holding onto something you still want to wear? Yes, you can hold onto at least one ugly Christmas sweater just for laughs. But what about all the other sweaters, turtlenecks, scarves, hats, coats and shoes that you’re not wearing anymore? Those can also be turned over the Junk King Boston but they won’t be dumped into a landfill. Instead, Junk King Boston will see to it that those usable items are dropped off at a charity. That’s the perfect thing to do at this time of year! Finally, there might be some power tools that are part of your winter clutter like a snowblower that doesn’t work. That’s a very important tool for anyone living in this area but there’s no reason to hold onto that power tool if it’s broken. Turn it over to junk King and make room for a new model. Getting rid of all your winter clutter is easy when you turn the job over the Junk King Boston. This entry was posted in Boston Junk Removal, New Hampshire Junk Removal and tagged Junk King, junk removal on November 26, 2017 by Junk King. Last updated November 26, 2017 .